1994 began consulting with Kachin Baptist Churches in N. E. Myanmar [Burma] on Youth and camping. Made nine ministry trips to serve their churches and college. 1997 – 2004 Sponsored and Mentored 3 Kachin faculty men to earn a Doctor of Ministry Degree in a USA Seminary. All three returned to key leadership roles in the Kachin Bible College. April 1, 2005, Gertrude “Trudy” was called Home to heaven. 2005 received Honorary Doctor of Divinity from Hanson Baptist Bible College, Kachin State, Myanmar (Burma). December 30, 2006 married second time to Ruth E. Compton who had been a missionary to North American Indians for 50 years. Secretary: Rev. Peter R. Brock, Associate, Family Ministries of Faith Baptist Church, Winter Haven, FL 33880. Peter was a missionary to Italy for 10 years before coming to Faith Baptist. Peter has a good background of missions, mission agencies and church ministries. Phillip Van Kleeck, Licensed Family Councilor working for Community Health Care in High land County of Florida. Phil is sensitive to peoples’ backgrounds and needs based on his training plus experience in a residential multi ethnic youth care home. 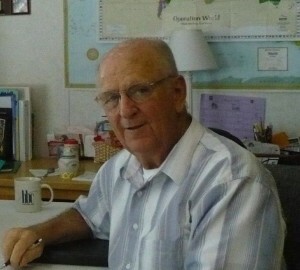 Wesley Halstead, Manager of Maranatha Village, Sebring, FL. 33870 Wes has worked in various business positions and has a good prospective of ministry. Jeff Burr has served as the lead pastor at Forest Hills Baptist Church (Grand Rapids, MI) since 1998. Jeff always had a heart for missions, participated in many short-term mission trips and even spent a year teaching English in Beijing, China. But in recent years he has helped lead the local church to identify the various ethnic groups in their own community. Jeff is a graduate of Cedarville University and Grand Rapids Theological Seminary. He and his wife Sheri have seven children and currently host two international students. James (Jim) Murphy is currently the City Engineer for the City of Norton Shores, Michigan. Prior to joining the Department of Public Work Staff at the City, he worked for private consulting firms in Muskegon and Sault Ste. Marie Michigan. Jim graduated from Michigan Technological University in 1989 with a B.S.C.E. (Bachelor of Science, Civil Engineering). Jim serves as a deacon, adult bible fellowship teacher and the missions chairman for Lakeshore Baptist Church located in Grand Haven, Michigan. As missions chairman, Jim has been active in interacting with the church’s supported missionaries and missions outreach. A recent highlight of this work was accompanying Larry Salisbury and Pastor Nate Birkholz on a 3 week mission trip to Southeast Asia assisting in teaching classes and visitations with mission work in Thailand, Myanmar, Philippines and Taiwan Jim currently lives in Grand Haven, Michigan with his wife Michelle and their children. Summary: Each man offers a different but special talent that helped to design the foundation of Ethnic to Ethnic Ministries. They have vision and commitment to helping churches adopt a mission plan to reach the unsaved of the nations living in the United State and worldwide.